CVS is Buying Aetna Insurance! There is a big shape up going on in the news. If you haven’t heard, CVS is buying Aetna Insurance company. 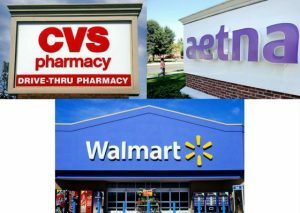 If you don’t know what these companies represent, well CVS is a retail pharmacy store. Aetna is one of the health care providers for insurance. They say this merger will make it so one company owns and controls a retail chain and insurance provider. This allows them to determine prices and discounts. Claiming this will help consumers by providing a one stop shop for your prescription needs. he market, will be a huge advantage. The Pharmaceutical industry is one of the top leading industries when it comes to money. In 2016 the industry brought in $446 Billion dollars. So yes, $69 Billion is a lot of money to invest, but to get a bigger piece of the $446 Billion pie really sounds appealing. It will be interesting to see how CVS positions themselves in the industry. Will they become the Wal-Mart of retail Pharmacy? So how does this affect clinics? This is bringing a major competitor in the healthcare field when it comes to clinics. 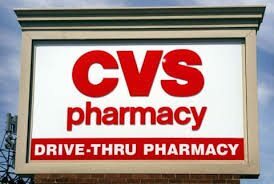 CVS currently has 9.700 pharmacies and 1,100 Minute Clinics, which are walk-in locations where patients can get vaccinations, and other procedures done there. With the merger of Aetna, this actually helps the consumer prevent seeing the doctor in a lot of cases. So this really could play a major role for a lot of clinics and doctors. CVS will have a better understanding of patient’s’ health goals, and be able to guide them through the healthcare process.